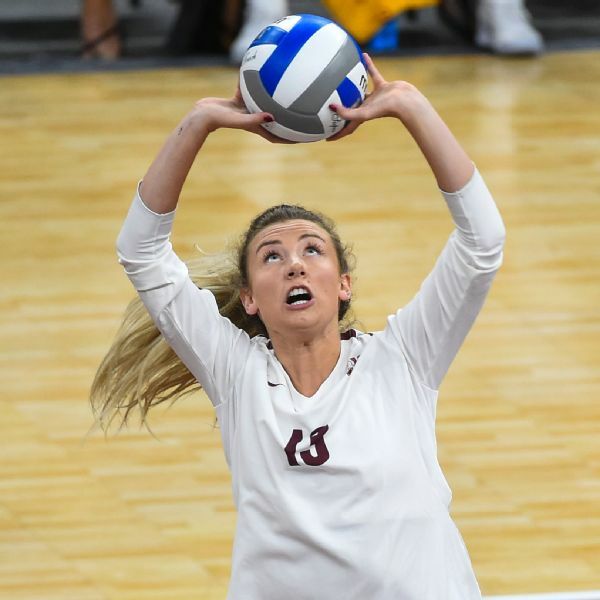 CC McGraw, a freshman libero from Prior Lake, Minnesota, had 29 digs during her opening weekend with the Gophers. MINNEAPOLIS -- The trappings appeared familiar, certainly, for the Minnesota Golden Gophers. The volleyball court with the large "M" in the center. The maroon net pole padding with "Minnesota" in gold letters. Public address announcer Kirk Possehl giving his traditional call-and-response to Gophers points, yelling "Point U!" and the crowd yelling it back. But this was the air-conditioned, freshly renovated Target Center downtown, the site of this fall's NCAA volleyball final four, not the steamy, old Maturi Sports Pavilion on campus where the Gophers usually play home matches. Last weekend's Big Ten/ACC Challenge served as a test run for both the final four site and the Gophers, with unranked Florida State and North Carolina in town. Minnesota beat the Seminoles in three rugged sets, and the Tar Heels in four. This followed two weeks of questions, all variations of the same theme: How cool would it be if the Gophers, who reached the final four in 2016 and '17 before falling last year in the regional semifinals, qualified for the big show in their front yard? It's not a stretch. Minnesota is ranked No. 3 after a 2-0 start. Five starters return, among them first-team All-American opposite hitter Stephanie Samedy, and second-team setter Samantha Seliger-Swenson. But a lot has to happen between now and then. Coach Hugh McCutcheon isn't keen on looking beyond the next opponent or the next point, and neither are his players. "That would obviously be a dream come true," said Seliger-Swenson, a senior from nearby Minnetonka, Minnesota. "I think it's important that we talk about it. We can declare that these are our goals, but we also need to talk about how we go forward and achieve those goals. We're not going to complete them in one day." This is McCutcheon's seventh season at Minnesota, and he has never had a roster this deep. Competition in the gym since the spring has been especially lively. Two freshmen won jobs right away: defensive specialist CC McGraw and outside hitter Adanna Rollins. 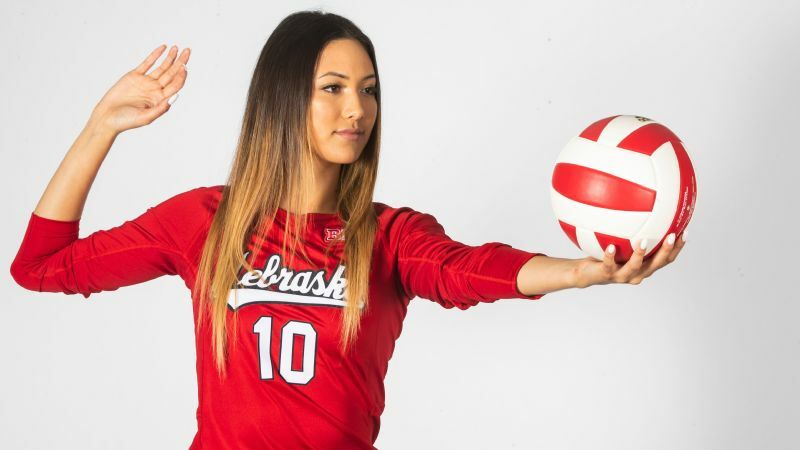 All-Big Ten outside hitter Alexis Hart, a third-team All-American, came off the bench the first two matches, subbing in for Rollins. And the starters last weekend may not be the starters in November. "I think just trying to figure out a lineup is going to be a big deal for us, because we've got a lot of people who can play," McCutcheon said. "Certainly a lot of players have earned the right to go out there and do it. The depth is a real strength for us. All things being equal, we're likely to throw out some different lineups and see what happens." With the final four heading to Target Center, 2018 could be the most special season in a special career for Samantha Seliger-Swenson. McCutcheon stuck with a nine-player rotation Friday night as the Gophers swept Florida State. Minnesota won with a balanced attack; four players had at least eight kills. 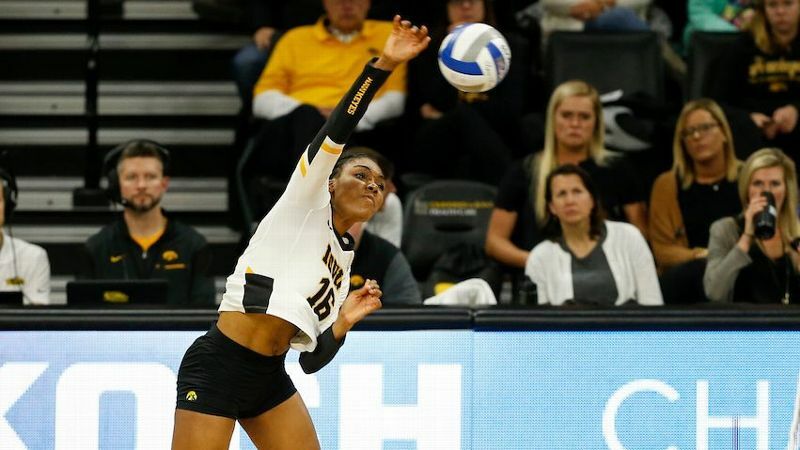 The next night, scrappy North Carolina, which lost Friday in straight sets to No. 8 Wisconsin, bounced back to challenge the Gophers at every turn. Minnesota won the first set 25-16 but was down 24-23 in the second when McCutcheon made a bold double substitution. Out came All-Americans Samedy and Seliger-Swenson. In went sophomore setter Sara Nielsen to serve, along with middle blocker Paulina Swider, a freshman from Poland. 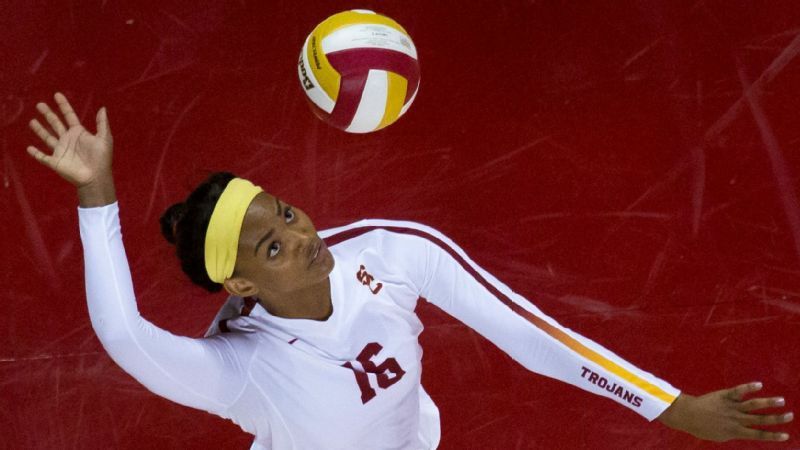 Neither played against FSU, and Nielsen appeared in only four sets as a freshman. 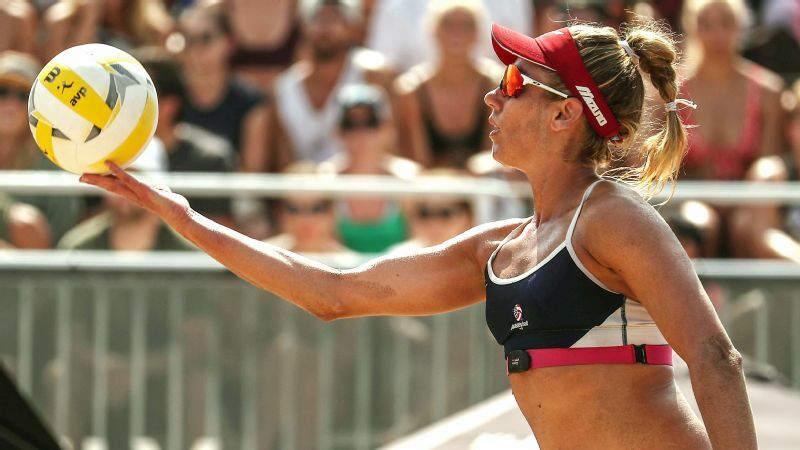 "My heart rate spiked a little bit," Nielsen said. "We talk a lot about breathing. I just took a breath, let it out, and told myself that I do it all the time in practice. That calmed me down a lot, and I got ready to go." 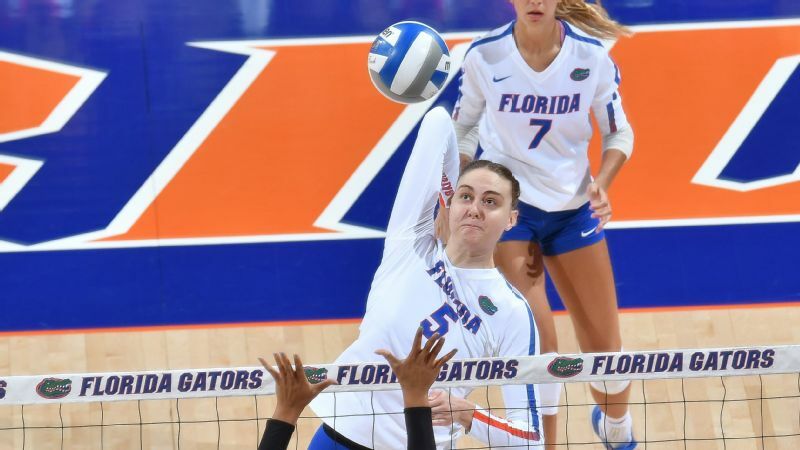 Swider and Hart teamed up on a block to tie the score, and redshirt sophomore middle blocker Regan Pittman clinched the set with back-to-back kills. McCutcheon made the same substitution in the third set with the Gophers again facing set point, down 24-22. Minnesota got it back to 24-24 on a block involving Swider, then a Nielsen service ace. But the Gophers couldn't finish it off, and the Tar Heels eventually prevailed 30-28. Minnesota trailed again in the fourth set 22-19 before Seliger-Swenson began working the ball to Samedy, who responded with five consecutive kills. That, plus a Lauren Barnes service ace, gave the set and match to the Gophers, 25-23. Samedy, a six-position player, finished with 10 digs and four block assists along with 20 kills. "She was first-team All-American for a reason," McCutcheon said. "She made a decision to take this thing on. She was pretty remarkable. It's not surprising, but it was good to see her find a way to get into that space and push through. Obviously she's fatigued, it's a long night and it's been a long preseason, all that stuff, and here she is finding a way to make some plays when we needed her most. That became pretty infectious. All of a sudden we're digging some balls and we're making some plays, and the energy shifted quite significantly." Over two nights, McCutcheon got a look at 12 of his 18 players. He may use more this weekend when the Gophers host North Dakota State, Georgia Southern and Arkansas at the Maturi Pavilion. 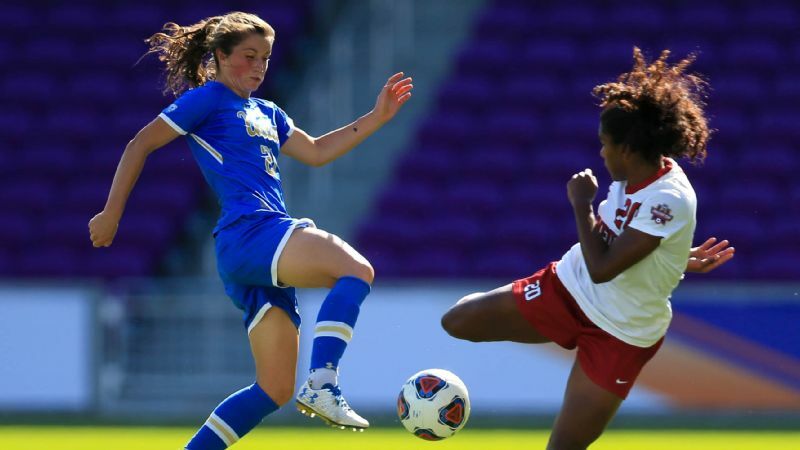 Another test comes the following weekend, when the Gophers go to Stanford to face the Cardinal and Oregon in the Big Ten/Pac 12 Challenge. So what has McCutcheon learned so far? The defense needs work. And the left-side production is off. Hart hit to a negative percentage both nights (six kills, nine errors), while sophomore Jasmyn Martin hit better the first night (.385) than the second (.154). But junior middle blocker Taylor Morgan, stuck behind Hannah and Paige Tapp and Molly Lohman the past two seasons, showed promise with 16 kills and 12 block assists over two days. And Pittman's 25 kills trailed only Samedy's 34. Most of all, the Gophers maintained their composure against two tough opponents in an unfamiliar venue, a building they hope to see again in December. The crowds paled compared to the boisterous 5,000 the Gophers often draw at the Maturi Pavilion; attendance was announced at 1,804 the first night, and 2,153 the second. The Target Center holds more than 18,000. There was no courtside seating, and the crowd reaction at its loudest sounded distant. That should not be the case if the Gophers return in December. "The venue was cool," said Morgan, from Blaine, Minnesota. "The last time I was here was like a Harlem Globetrotters game when I was 8. So it was kind of cool being back here. It's different than we're used to ... but I thought it was a really good arena to be in and battle. Everything worked out great."